As mobile threats become increasingly sophisticated, more vulnerabilities within mobile OS’s are being exploited. 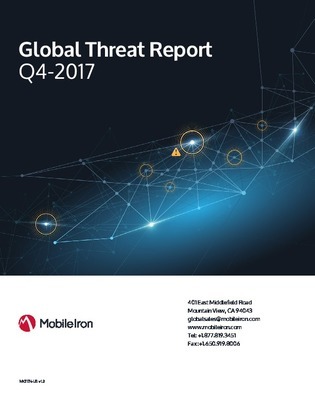 In fact, over 8.5% of mobile devices in 2017 were considered at a “high-risk” of attack. Access this report to learn about some of the most recent and most dangerous mobile OS threats that have emerged in the last year. Plus, learn what proactive measures your organization can take to minimize potential risks.